Yup. We can also be on top of a “furry hammer” as I like to call them- that’s a coping strategy or behavior that no longer works- then slip back into the pattern. We “forget to remember”. Forgive yourself in advance-we don’t want to get out of balance and turn our entire life into a project. 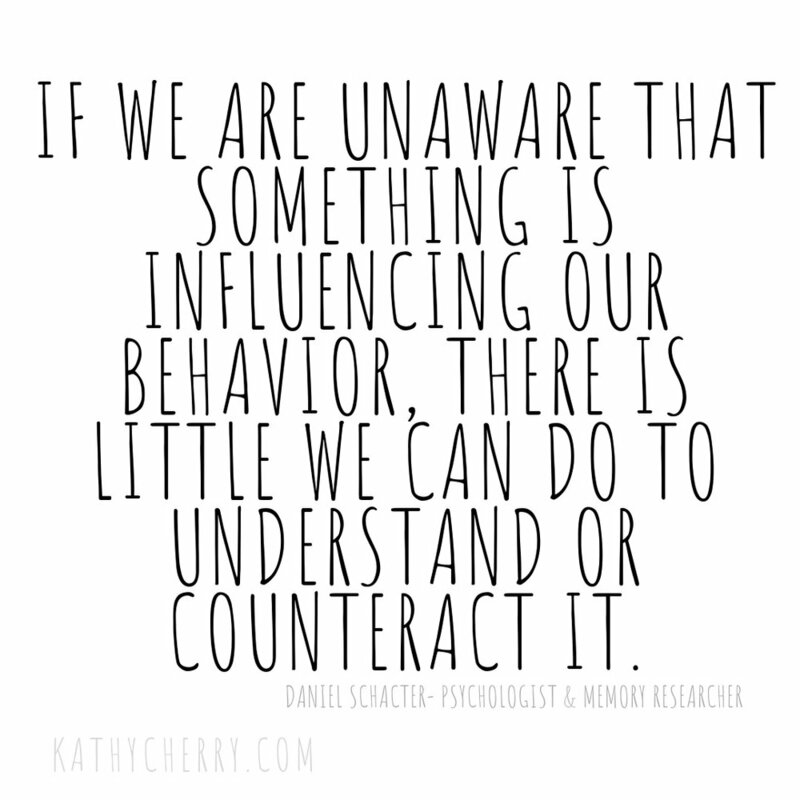 It becomes a question of how we can be a bit more intentional around working with these blind spots. Occasionally taking inventory with a teacher or mentor around where we’re getting stuck or reactive so that we can bring it into awareness is really useful. I also know people who journal or do morning pages around these kinds of thought and behaviour patterns. There are lots of ways in. Unwinding years of conditioning takes time. We can’t jump the walls of our defenses and tear out the belief systems, the fears, or the coping strategies. They were all, at some point, a form of protection. Dramatic uprooting rattles the nervous system and can undermine progress. the way we get the emotionally toxic stuff out is the same way it got in- spoonful by spoonful. Slowly, gently, with compassion and kindness- we let go, find balance, let go a bit more. Which cycle are you in right now? I’ve been watching my mind dance back and forth between the two. So much of what I’m doing right now puts me on the far edge of my comfort zone. These growth cycles are rarely comfortable. It’s great when I can notice and laugh about it. Take the plunge despite it all, trust the process. Other times I spend waaaaaay too much time wordsmthing emails, agonizing about how things are going to go over. The feat trips the doubt and that calls in the overthinking cavalry- making my mind a thunderous place. And then I notice the tightness in my shoulders and I take a deep breath. Starting over without all the judgement is such a gift. Connecting with hope, faith or a sense of purpose. So sweet. Even when I know I’ll be back in the doubt cycle at some point in the near future. We feel it all, and in strengthening that ability to “be with” we get good at going with the flow. up…. down…. up ….. down…. 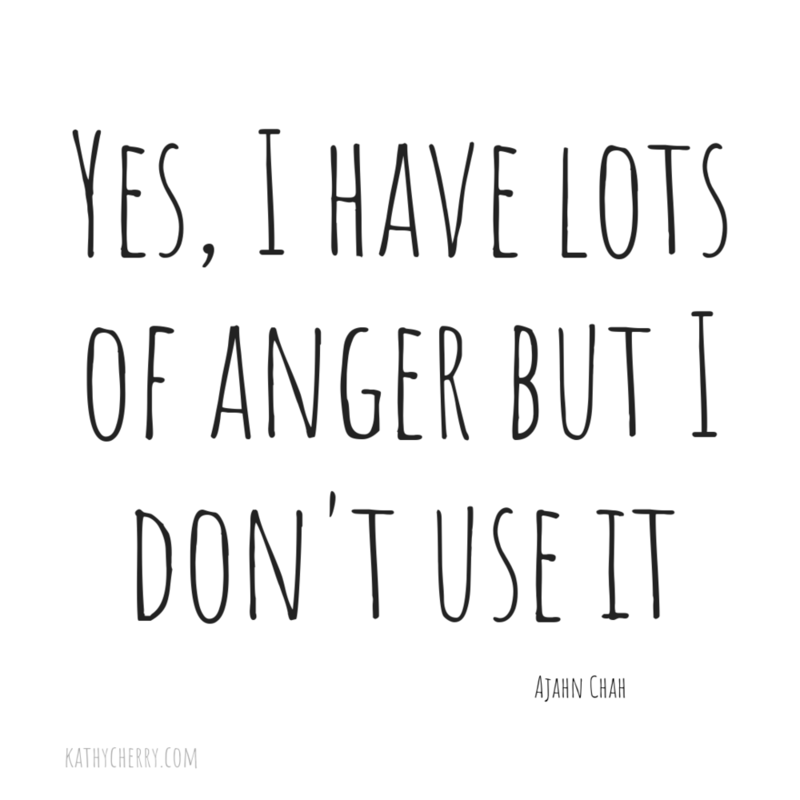 I always appreciated that Ajahn Chah copped to the fact that there was anger in his mind. We often pathologize anger in our culture. In fact it is a necessary emotion that tells us when our boundaries have been crossed and we need to take action.